As our company name implies, this is one of our top specialties. We love nothing more than to take a basement space that is currently being used for nothing but storage and transform it into a comfortable, pleasant living space. Maybe your basement is already functioning as living space, but is outdated. We can remodel that room and make it brand new. Or, you might have a livable basement space that is just one large room, we can put up a wall or two and divide that big space into a few rooms. Your kitchen should be more than just a functional room where the meals are cooked and appliances reside. It should be a place of enjoyment, comfort, and some creativity. For many families, the kitchen is where a lot of time is spent in a variety of different activities. Sometimes the bathroom is overlooked, but in fact it is one of the most-used rooms in your home. You might be surprised at how some remodeling work changes it around completely! Perhaps it can be made bigger to give more space, or you might consider new countertops or a new tub/shower. As you would expect from a professional remodeler, we are fully licensed and insured for every job we handle. ur crews are true craftsmen when it comes to completing your home remodeling project professionally and efficiently, and we can put you in touch with our previous customers as references. a new home office, a home theater, a game room, an in-law apartment, or just a nice room where the family can relax together or entertain guests. Our clients are delighted at having this new, usable space that was formerly not available for much of anything. Our clients are delighted at having this new, usable space that was formerly not available for much of anything. With a newly remodeled kitchen, you will find that you really enjoy being in the kitchen. For an affordable luxury item, ask us about heated towel racks as part of your remodeling/renovating project! We make your home seem like a new place to live! For over 10 years, we have been the home improvement and finished basement contractor chosen by homeowners all around Boston. We can start with your idea or ours (or a combination of the two), and take the project right through to completion, and we know you will love the results! We offer home remodeling and renovation in Boston, Plymouth, Duxbury, Milton, Marshfield, Canton, Hingham, Norwood, Westwood, South Shore, and all other nearby cities and towns. Rob Meader did a great job finishing our basement. He always met our goals in terms of getting things done as promised. Any phone calls to him were returned quickly... he also recommended changes based on his experience and made changes as we requested without any problems. Our basement was finished in about 3 months as requested. I would be happy to recommend Rob for construction jobs! We found Rob Meader through an ad in the Boston Globe. Our experience working with Rob and his crew was great from start to finish. From planning the job and understanding the building code requirements, to the work process itself, and dealing with the inevitable changes and surprises that arise, Rob and his crew were true professionals and a pleasure to deal with throughout. We finish basements all over Eastern Massachusetts for a fraction of the cost of an addition. We will make your finished basement an extension of your home. When you work with us, you are an integral part of the team. It is your home, so your input and opinions matter most. We provide daily updates and weekly status meetings to keep you informed of the progress. With our process, you should feel confident and comfortable enough to ask questions and make suggestions. 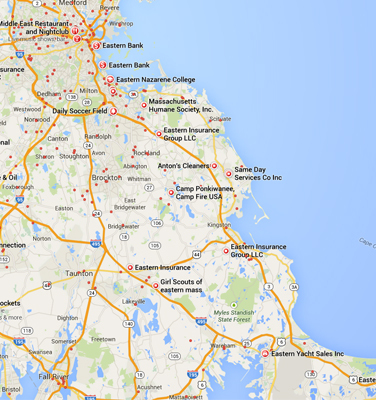 We serve Eastern Masachusetts; Boston to Cape Cod, Quincy, Braintree, Randolph, Hingham, Plymouth, Norwell, Hanover, Duxbury, Kingston, Marshfield, Pembroke, Plymouth and Weymouth.